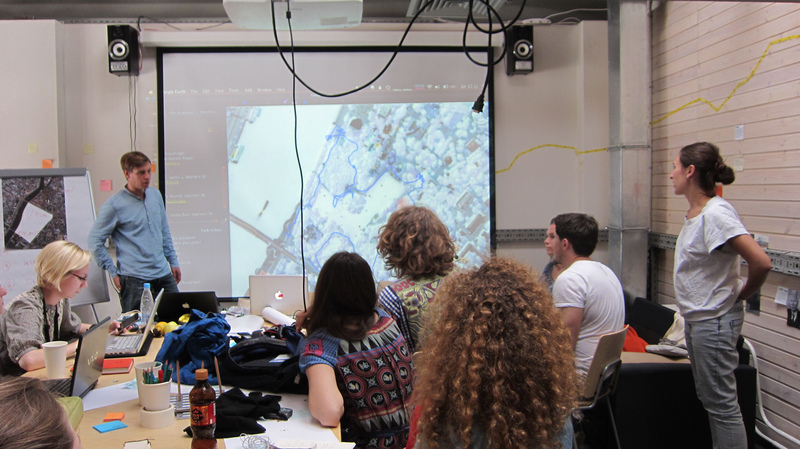 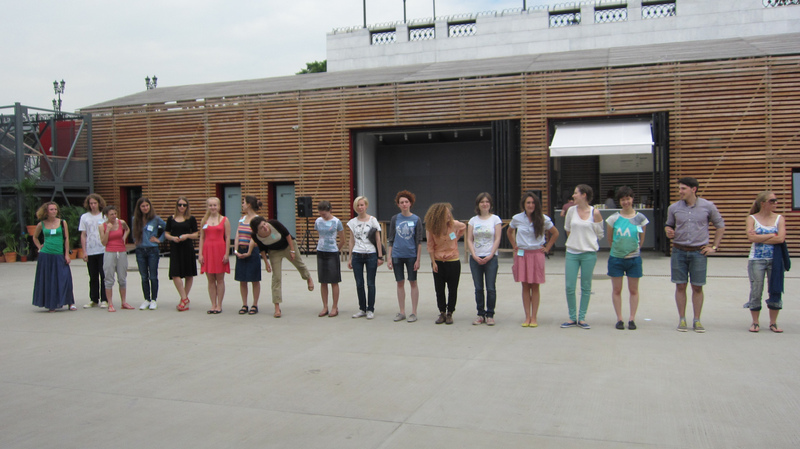 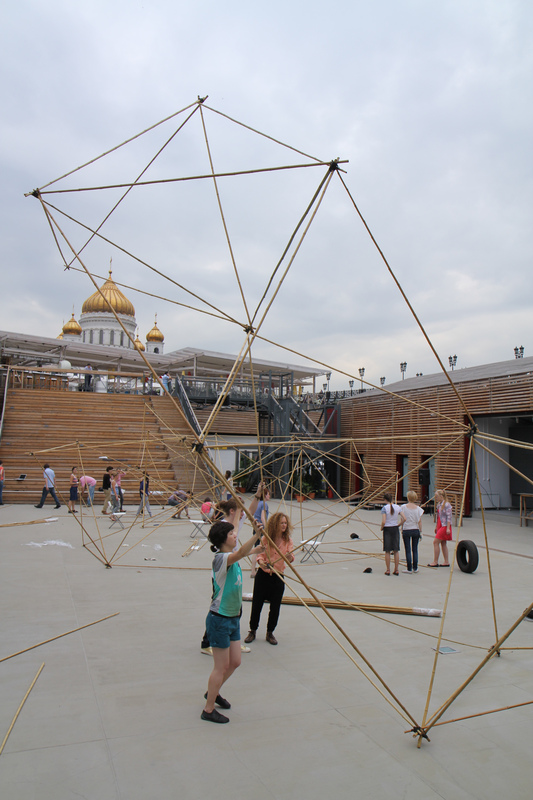 Two week workshop in Gorky Park with students from the Strelka Institute, Moscow, Russia. 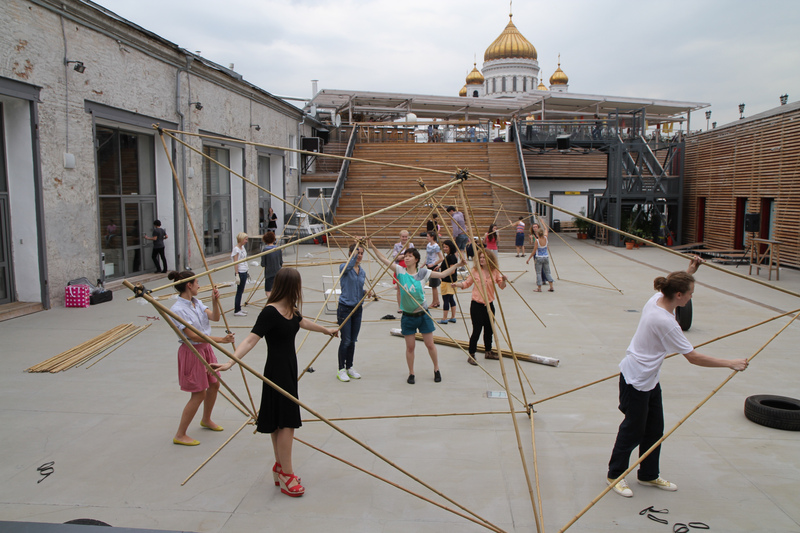 Design Feeds was a collaborative workshop exploring how designers can intervene and craft urban space. 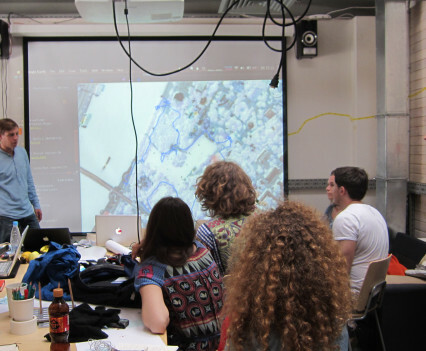 Intervening at an urban scale calls for designers to move beyond specialist boundaries and take a trans-disciplinary approach by questioning how we can create living environments that synthesise both living matter and technological tools through the convergence of biology, ecology, architecture and design. 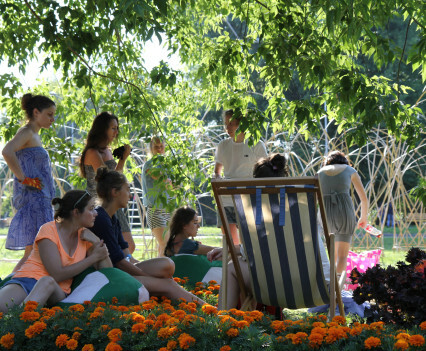 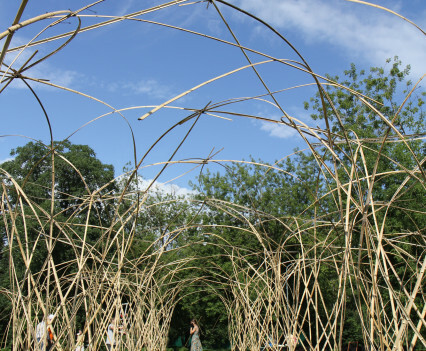 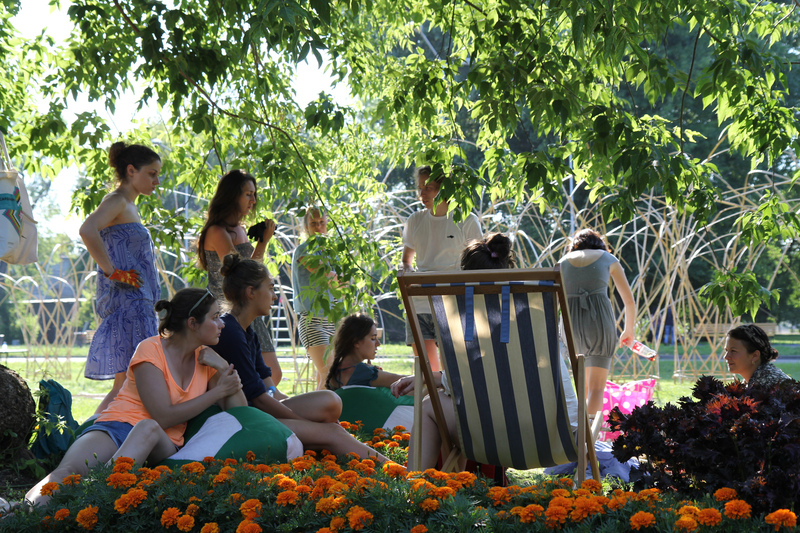 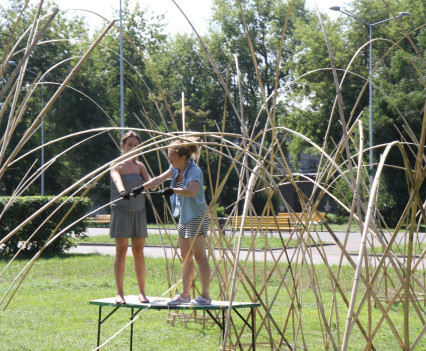 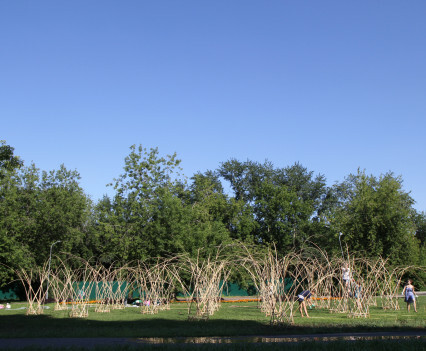 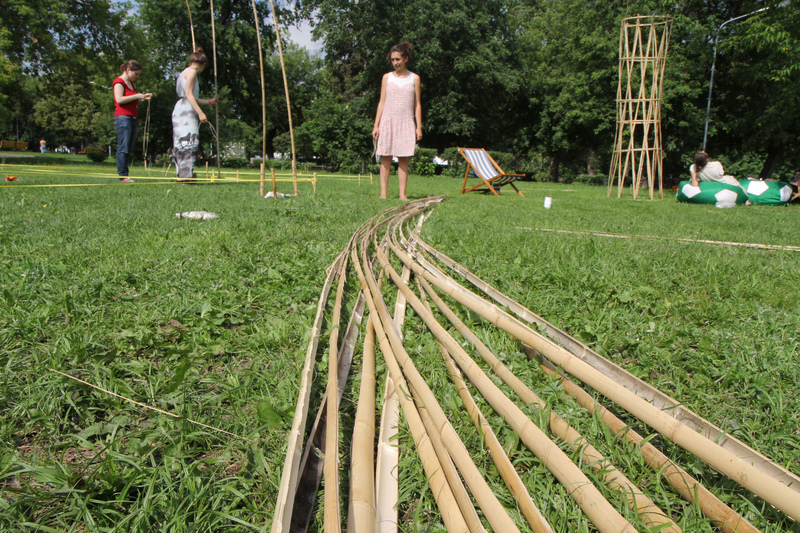 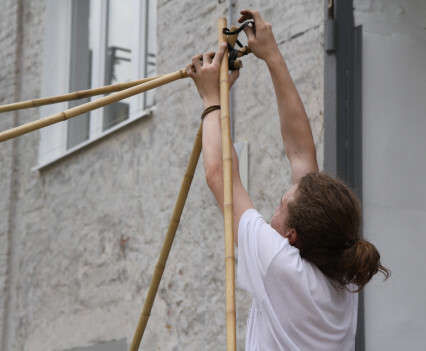 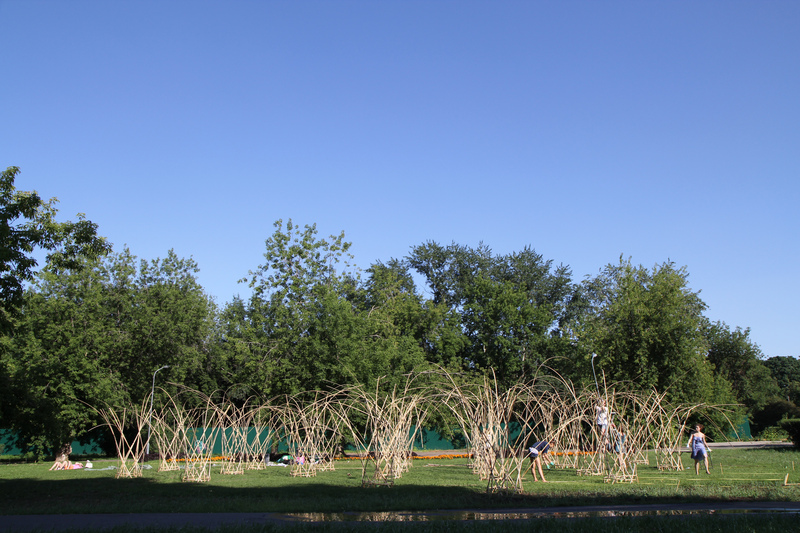 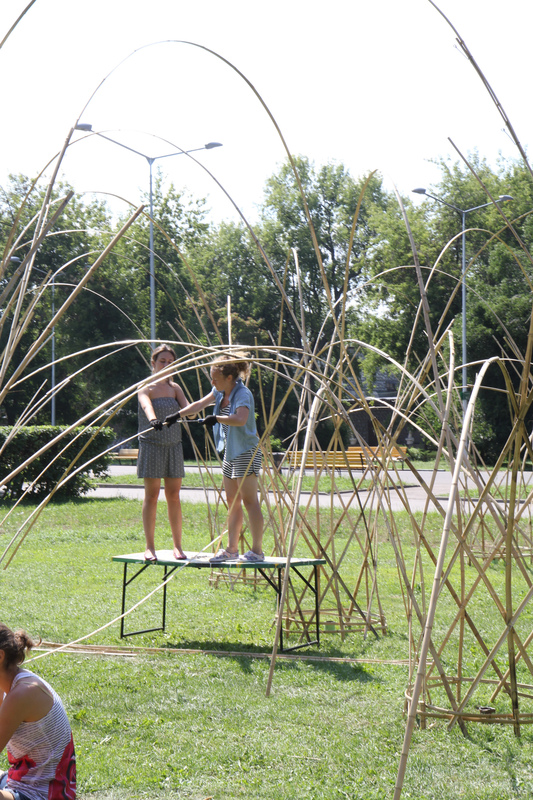 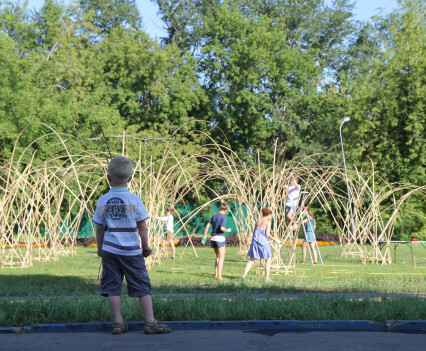 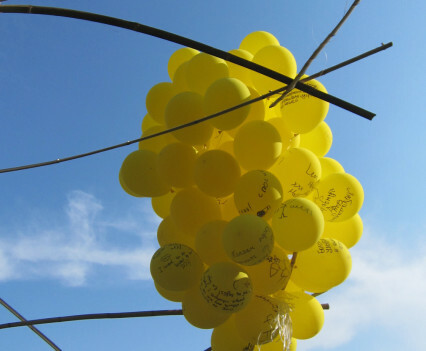 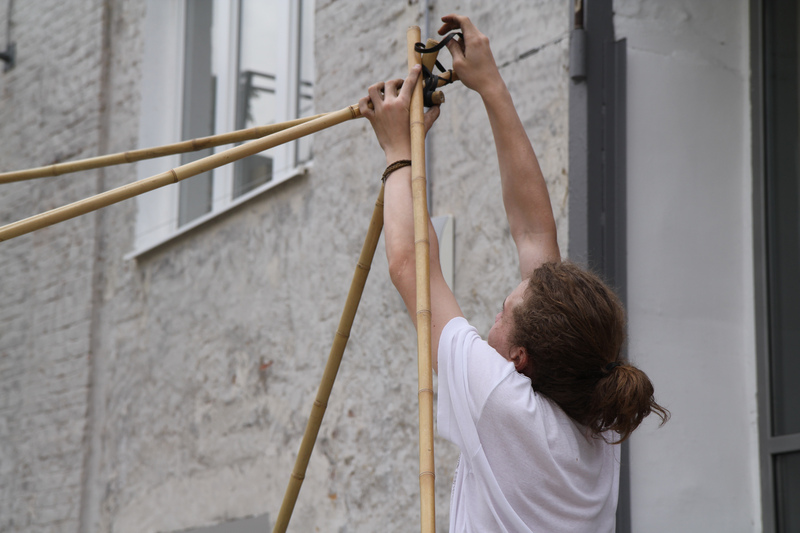 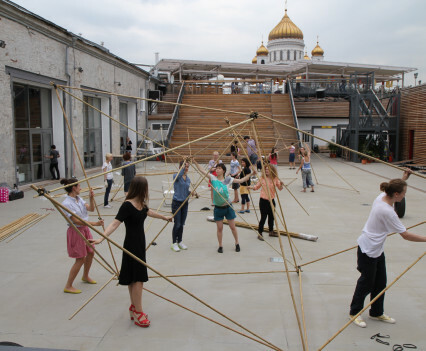 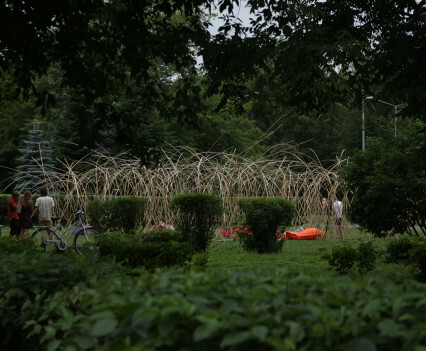 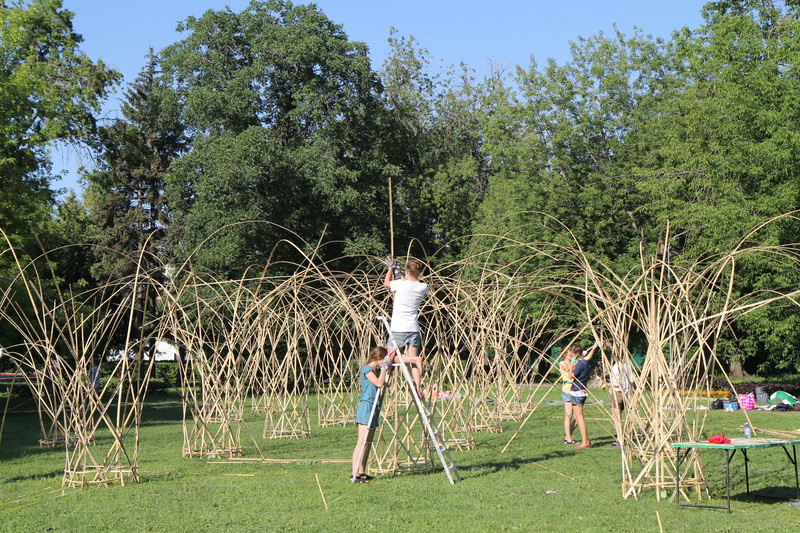 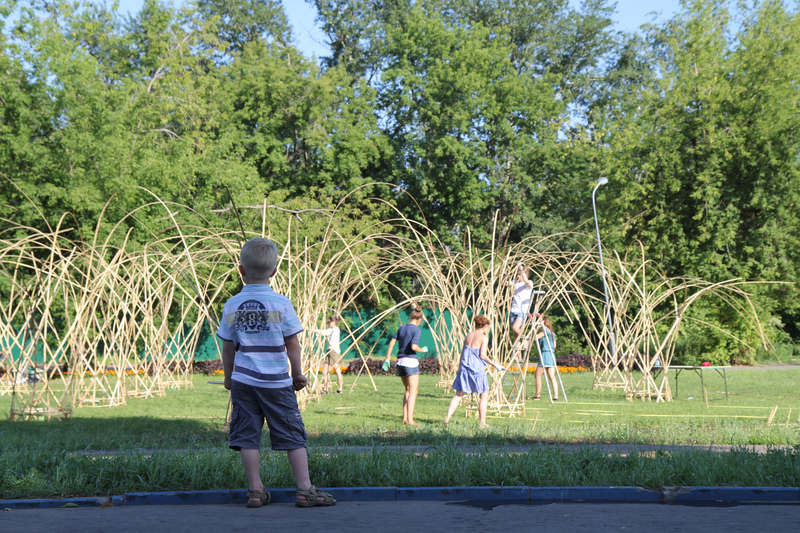 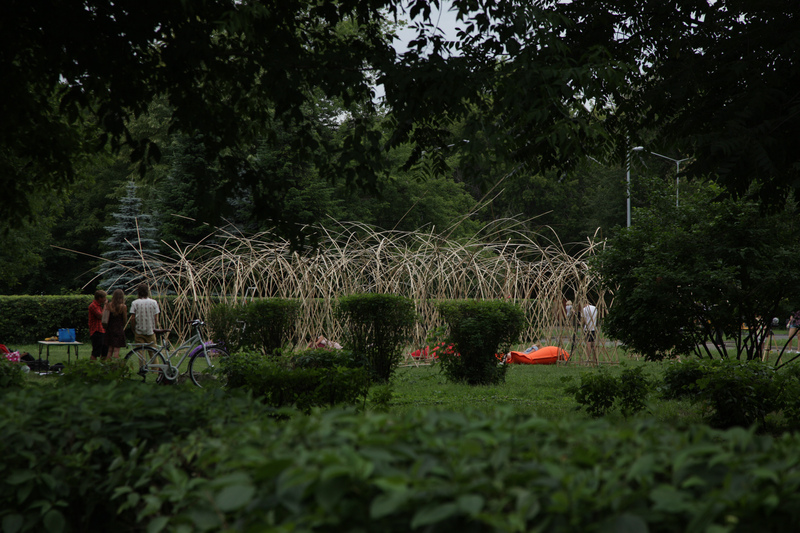 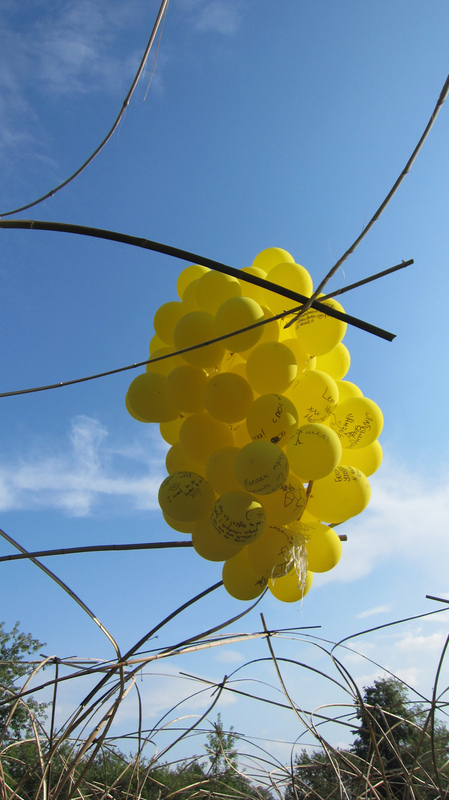 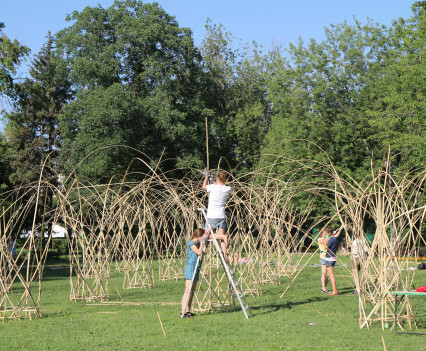 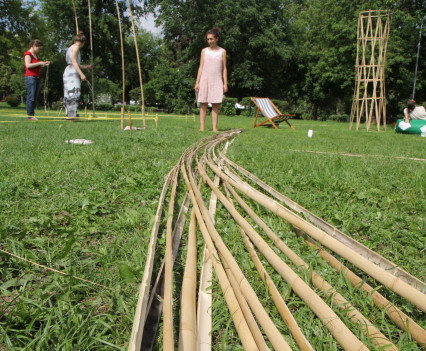 The participants of the workshop created a series of interventions in Gorky Park that re-interpret urban space, celebrates biodiversity and locates stories and visions with place. 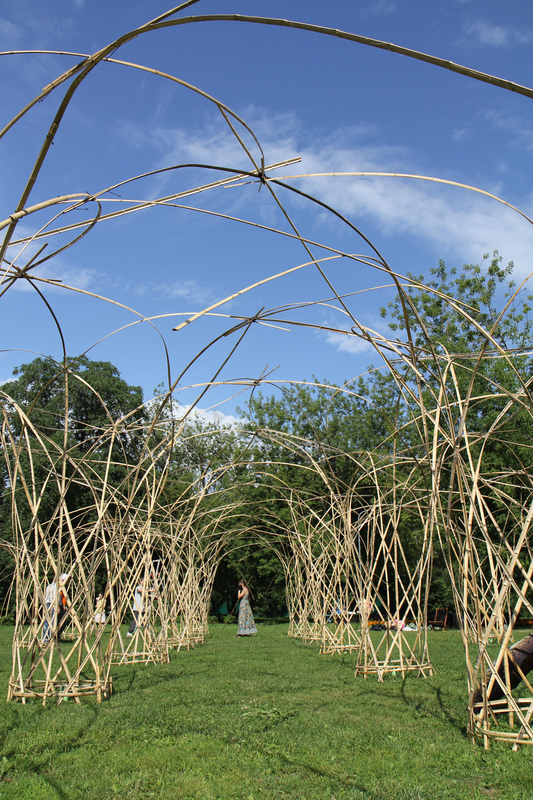 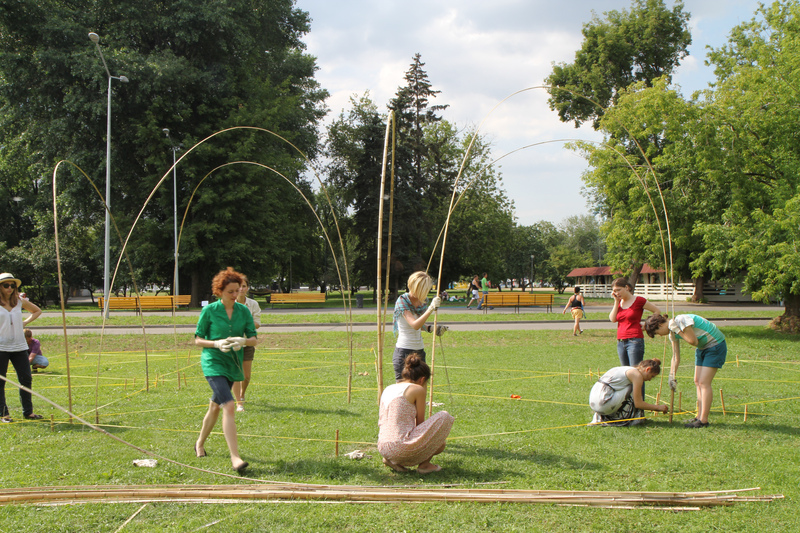 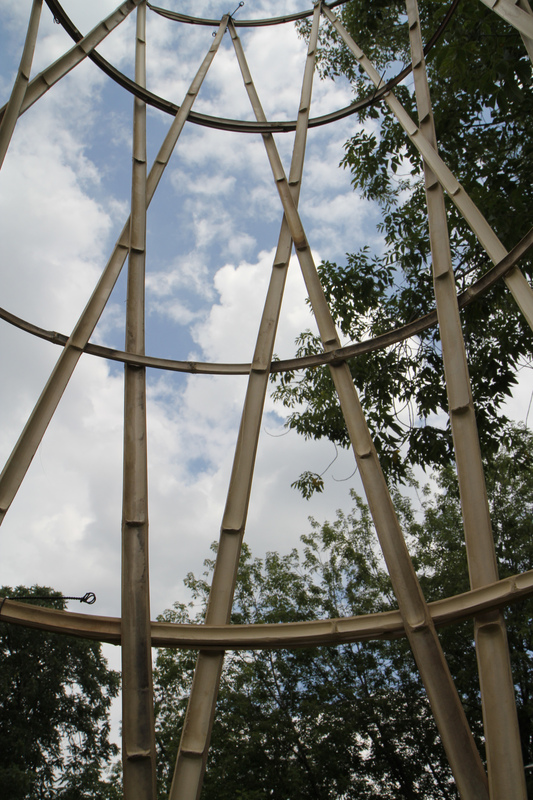 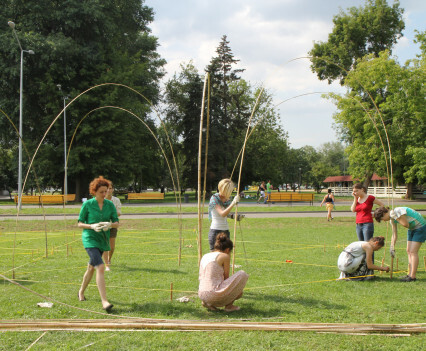 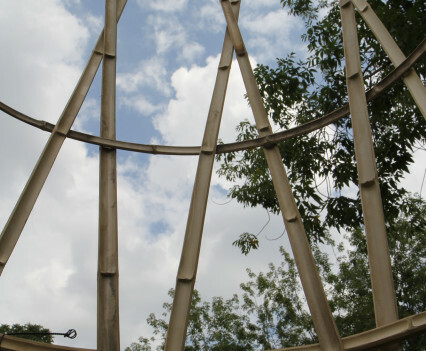 The process ran over ten days and covered a wide range of activities from walking tours by local experts, mapping using mobile technologies, bamboo building techniques, parametric design tools and storytelling. 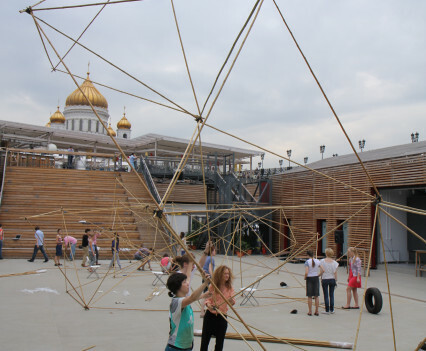 Share the post "Design Feeds Workshops @ Strelka"